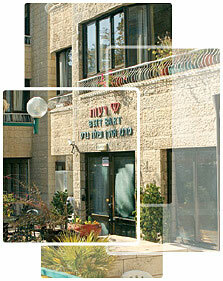 Reuth Beit Barth is a retirement home for elderly individuals from the religious-Zionist sector, located in Jerusalem. Occupying a pleasant three-story stone building in the Bak'ah neighborhood, it offers a selection of refurbished residential units, an orthodox (but not ultra-orthodox) lifestyle, a range of social and cultural activities and 24/7 access to medical services. Tenants whose health has deteriorated find the care they need right on the premises, in the special Supportive Department.